Finally catching a moment to sit down, reflect, and catch up on this blog! Last week was filled with birthday celebrations for me and both kids. Besides turning 34, I am also officially the mom of a toddler and teenager... please pray for us. The past month has been a whirlwind, personally and professionally. As many of you already know, my big news was a feature in the April issue of Essence magazine! I did the interview awhile back and knew it was coming, but seeing a full page photo in a magazine I grew up reading was jaw-dropping. April marks four years since I started this food blogging journey and I'm still amazed at how far it has brought me. 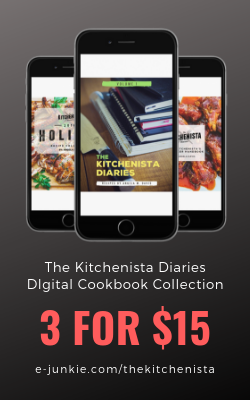 As revealed in my last post, I just released my second ebook, The Kitchenista's Appetizer Handbook. Thank you so much to everyone who has supported by purchasing their copy! I'm excited to get my hands on hard copies soon and will keep everyone posted on availability. What I didn't mention in that post is that I was in California at the time (literally finalized my book at the hotel!) It was a great trip split between Oakland and San Francisco. 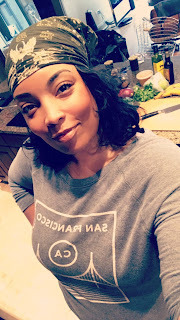 I had fun cooking two dinners open to the public through a partnership with Bottoms Up Community Garden and Josephine, a service enabling home cooks to sell their own meals. I'm excited for those relationships to grow and share more about my visit in a future post! After a few days of work were completed, the kids and I spent the rest of the week sightseeing in San Francisco. The food culture out there is phenomenal and I definitely found some inspiration from the restaurants we visited. Between traveling and celebrating, we've been eating out much more than usual. I really missed my Dutch oven pot and the calmness a day in kitchen brings me. Yesterday, I finally satisfied that craving for some good old fashioned home cooking. I decided on curry goat, for no particular reason other than wanting something spicy and slow cooked. Caribbean flavors remind me of the time I spent in Florida. 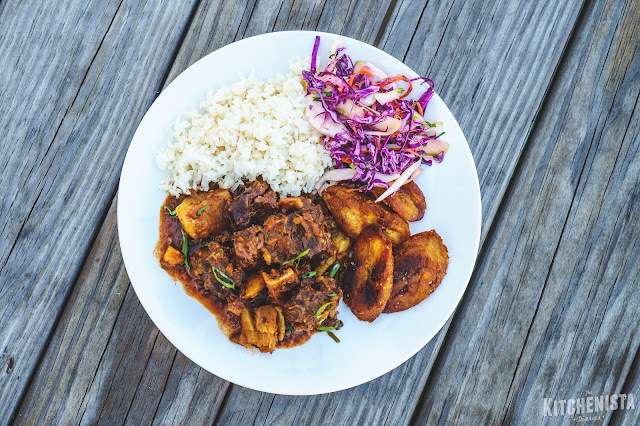 I get nostalgic for those styrofoam takeout containers from the Jamaican spots, packed with flavorful braised meat, rice and peas, cabbage and plantains. 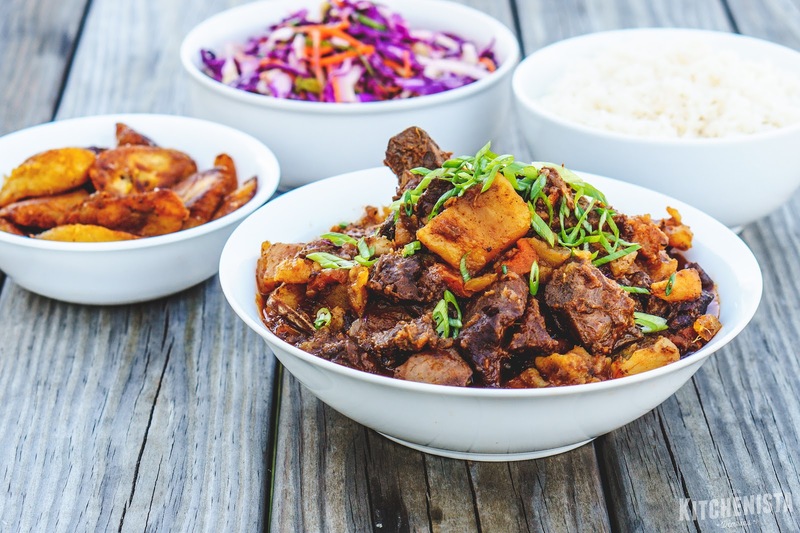 It's a meal I recreate often at home, usually with chicken or oxtail, and I play around with variations on the side dishes. Goat isn't often on the menu in American restaurants, but it's very similar to lamb and just as easy to cook. I've found it fresh at our butcher, but most often I just buy a bag of frozen cubed bone-in goat meat which works just as well here. 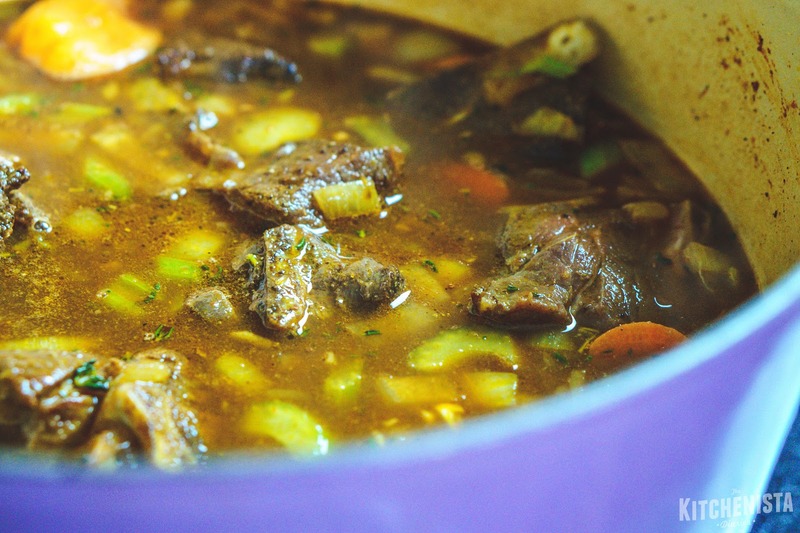 If you can't find goat, bone-in lamb stew meat would be a great substitute. Goat has a little more of a gamey flavor but the texture is about the same. 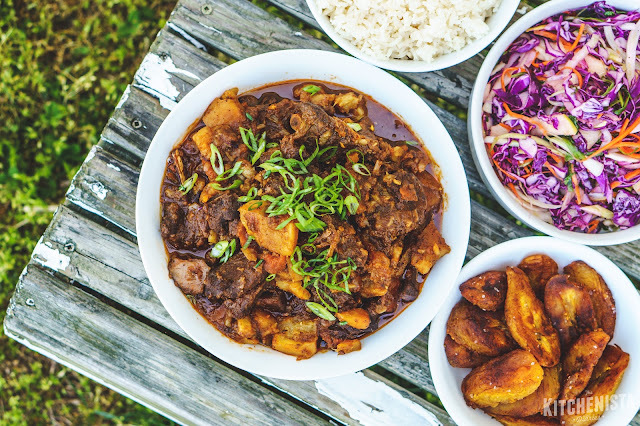 Curry goat is simply a stew. Big chunks of goat are browned in the pot, then braised in stock flavored with aromatics and spices, until the meat is tender and falling off the bones. I add potatoes towards the end to thicken the sauce and stretch the meal a bit. For this version, I used white sweet potatoes which worked out really well to add a little bit of sweetness against the spicy curry flavors. The nice thing about curry goat is that the recipe works with whatever curry powder you have. For that reason I won't focus on the spices as part of my recipe. 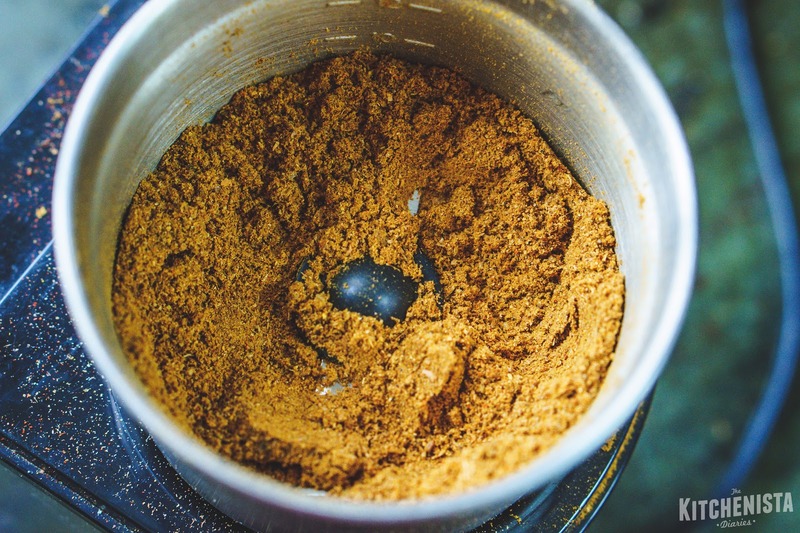 I make my own curry powders and most days it's a "little bit of this, pinch of that" type of deal. 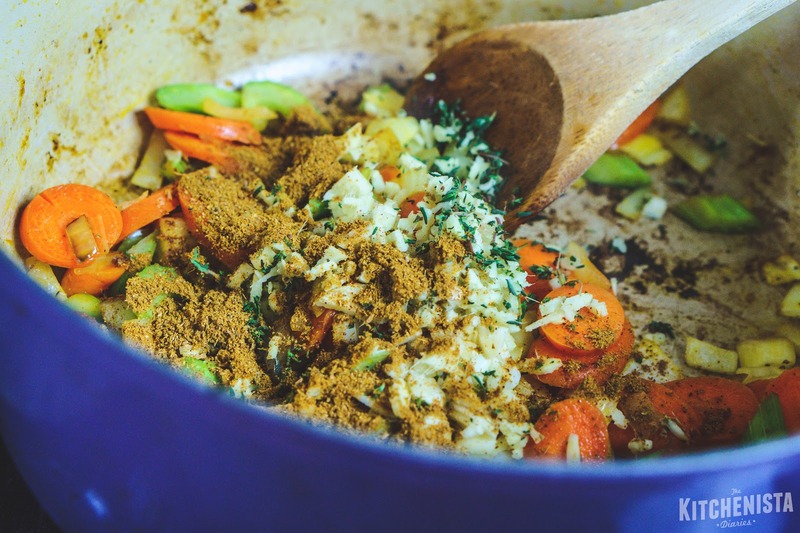 You can use a traditional Jamaican curry powder, but the recipe will work equally well with African and Asian curry powders. 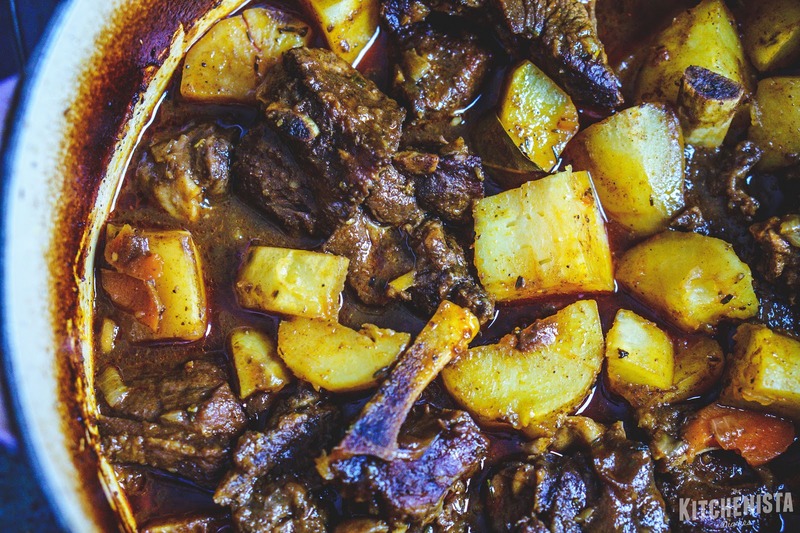 Although technically not a curry, the stew would also work with a Moroccan ras el hanout blend, or even a good Mexican spice rub. It's pretty versatile. 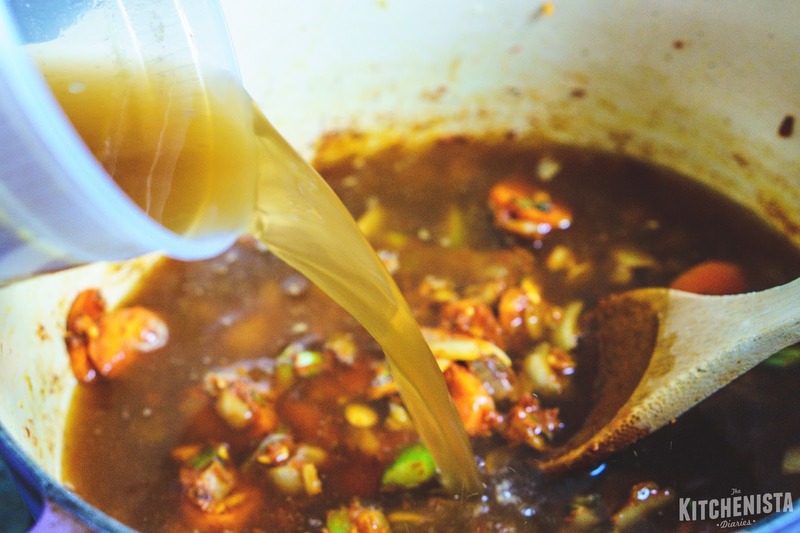 The stew is flavored with onions, ginger, garlic and chile pepper, so that's a formula that covers a wide range of cuisines. If you do want to venture into making your own curry blend, I highly suggest taking the extra step of toasting and grinding whole spices to enhance their flavors and aromas. Here, I started with cumin, canela sticks (cinnamon), allspice, black peppercorns, fenugreek, fennel, coriander and cloves. After toasting in a dry pot for a couple minutes until fragrant, the spices were transferred to my spice grinder and pulverized. I added ground turmeric, cardamom and paprika to finish the blend. Curry powders are so much fun to make on your own and it's a good way to learn your spices. If I'm trying an international cuisine for the first time I'll usually buy a store bought blend to get a feel for the flavor and proportions, then the next time I'll make it on my own. I often cook stews the day before I plan to eat them. That's partially due to the time it takes to finish the dish, but also it's easier to skim fat the next day and I think the flavors marry a bit more. (That said, when I have time to start it in the morning, it's good to go for dinner that day if I don't feel like waiting!) 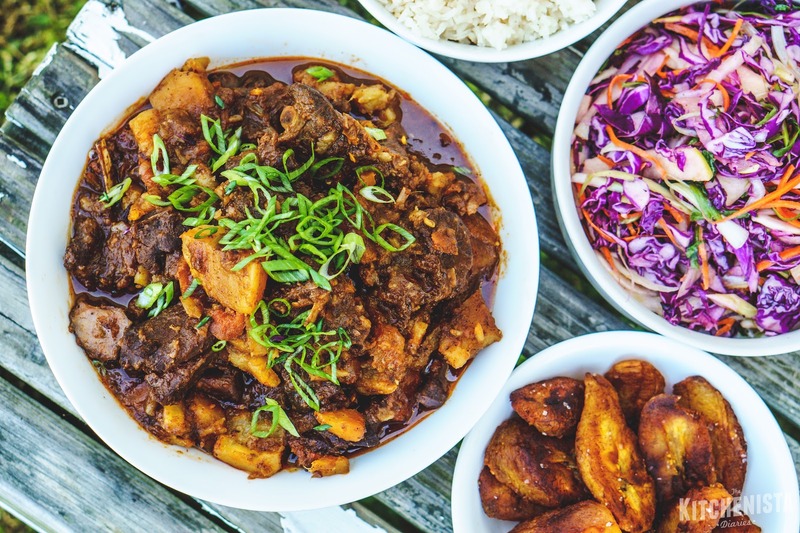 To complete our curry goat meal, I cooked a pot of Jasmine rice, fried a couple plantains, and made a fresh cabbage slaw with apples, carrots and fennel. 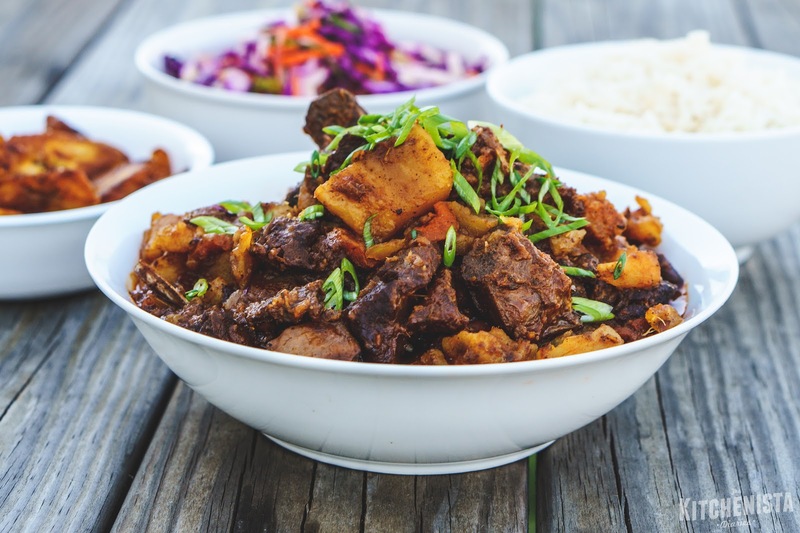 Because goat curry is such a rich, spicy stew, I like serving the cold slaw on the side to brighten up the plate and bring a little relief to the palate! This is the kind of meal that warms my soul. No matter how you flavor it, few things beat a slow cooked pot of curried stew served over rice. I hope you give goat a try, but I'd also love to hear if the recipe inspires your own special creations too! 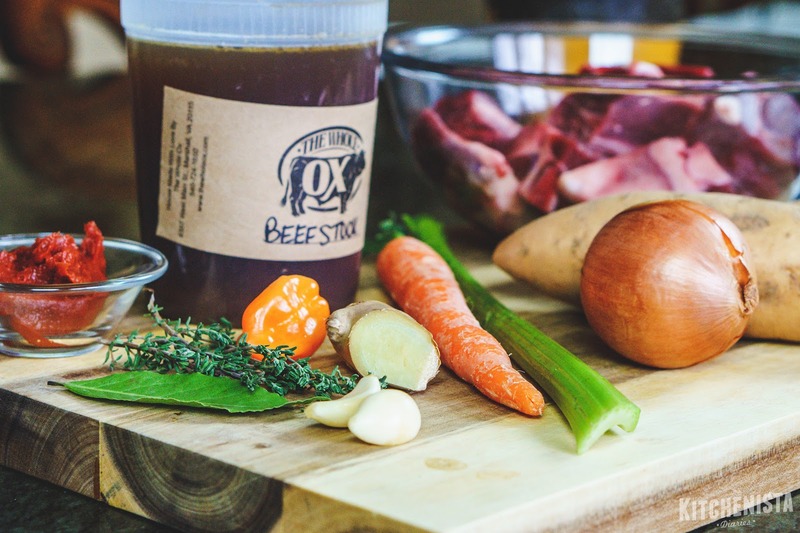 Note: Homemade beef stock will make a more richly flavored sauce that has body, due to the natural gelatin content. If you don't have your own, you can buy good quality stocks refrigerated or frozen at many grocery stores or butchers. I don't recommend using bouillon cubes or cartons for beef stock as they tend to be too salty and lack that gelatin. 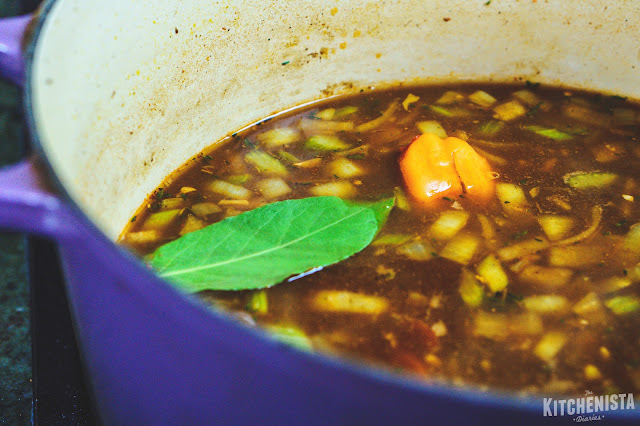 Buy or make your own chicken stock as a better alternative. If you can find it, a veal stock would also work here. If your goat cubes were frozen, let them defrost in the fridge the day before using and blot with a paper towel to dry. Preheat your Dutch oven pot over medium high heat. 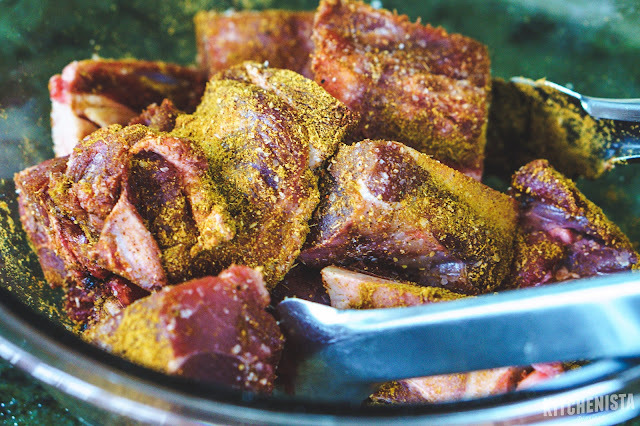 Meanwhile, toss the goat cubes with 1 tablespoon of the curry powder and 2 teaspoons of salt. Add cooking oil to the Dutch oven pot. I've been using red palm oil lately. Coconut oil or ghee works and so would anything neutral like grape seed or canola oil, just use something with a high smoke point that won't burn. Add the meat cubes to the pot in a single layer. Let them sear on all sides until nice and crusty, about 10 minutes total. I was able to fit them all in the pot without crowding too much, but work in batches if you need to. 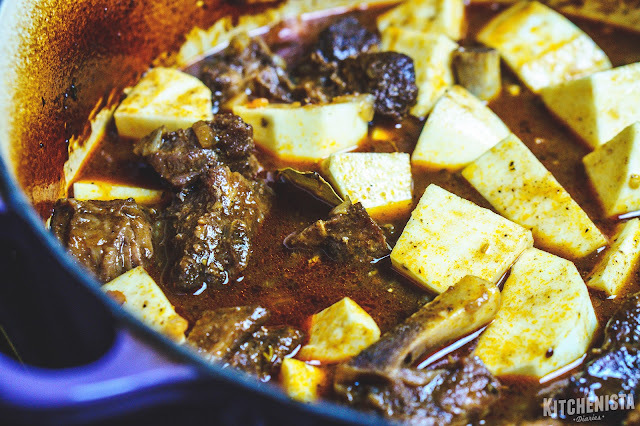 Remove the goat cubes from the pot and set aside. 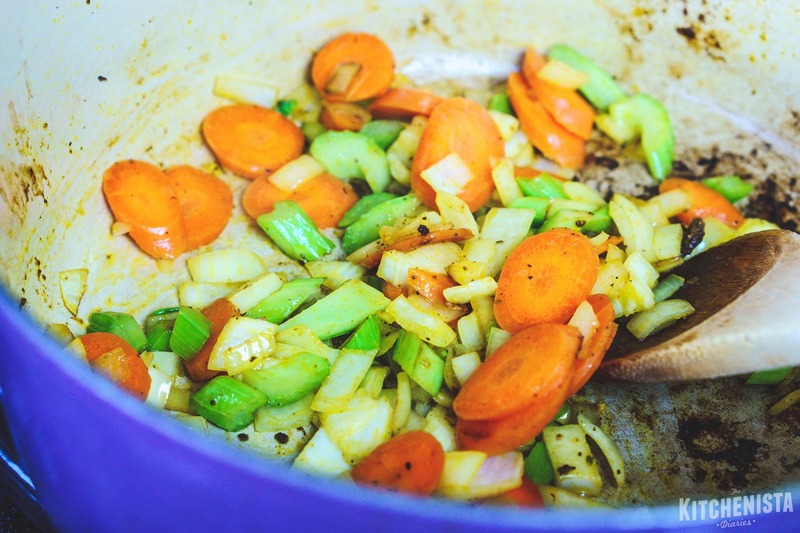 Add the onions, carrot and celery. Season with a pinch of salt. Saute the veggies for a couple minutes until softened. Turn the heat down to medium and add the garlic, ginger, thyme and remaining curry powder. Saute for another minute until fragrant. 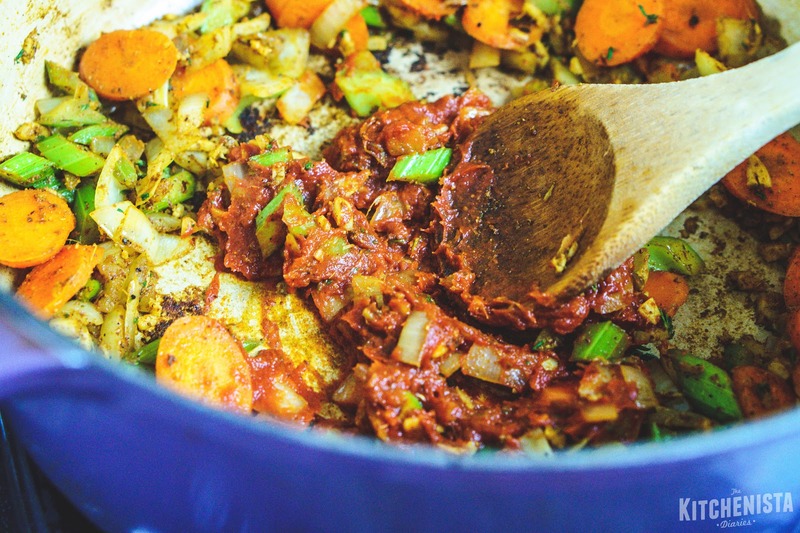 Stir in the tomato paste and cook for a minute, which helps remove the raw flavor. Pour in the beef stock, scraping up any browned bits at the bottom of the pot. Bring the mixture up to a rapid boil. Add the brown sugar and bay leaf. Cut a slit in the scotch bonnet pepper and throw it in whole. Be careful and use gloves or wash your hands immediately after handling it. If you're feeling dangerous add two peppers, but for something my kids can eat I stick to the one. Taste the broth and adjust the salt if needed. It should taste seasoned, but you don't want to over salt it because the liquid will reduce and become more concentrated as it cooks. Preheat your oven to 325° F. Return the goat to the pot. It should be almost fully submerged by the liquid, so if you're really short add a little water. It's okay if the tops are poking out though. Once the oven is ready, cover the pot tightly and transfer to the middle rack of the oven. Cook for two hours, or until the meat is just beginning to get tender but not falling apart yet. Remove the pot from the oven and set it on the stovetop to add the potatoes. Regular white potatoes or orange sweet potatoes would work fine here; I just wanted to try something different with the white sweet potatoes. Butternut squash would probably work really well too. Cover the Dutch oven pot and return it to the oven for another 45 minutes, or until the meat is falling off the bones tender and the potatoes are cooked through. Discard the bay leaf and scotch bonnet pepper. 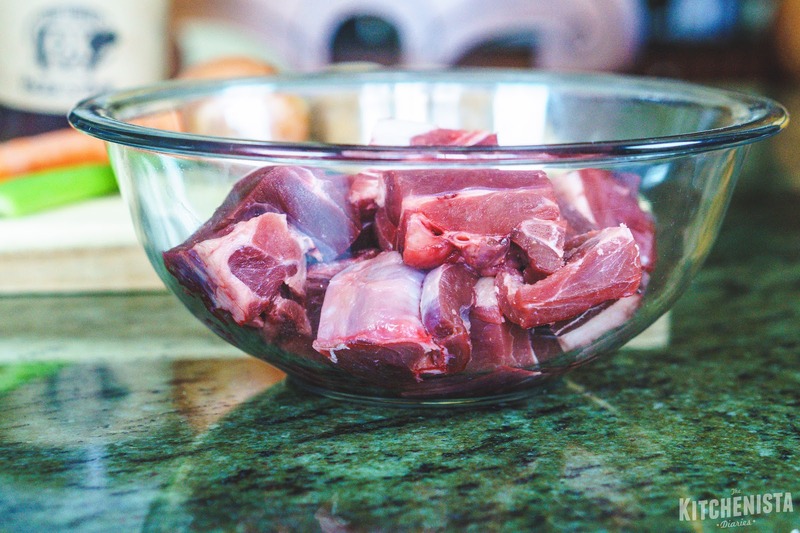 Goat meat is fairly lean, but try to skim off any fat from the surface that you do see. If you're going to refrigerate it and serve the next day, the fat will harden on the surface and can be removed then. Just before serving, stir in the lime juice. Top with sliced scallions to garnish. We serve the curry goat with bones and all, but if you have picky eaters just discard the bones before plating. I always like those little bits of meat stuck in the nooks and crannies of the bones though! 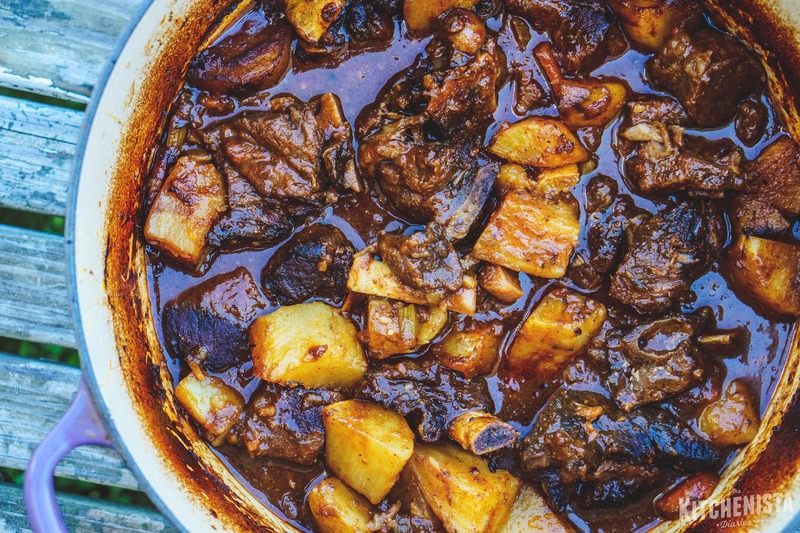 A bowl of this stew is great on its own, especially since you have the potatoes already. But traditionally most people would eat it with some sort of rice. A simple white or brown rice works fine, coconut rice would be good, or you could do a rice and beans dish. 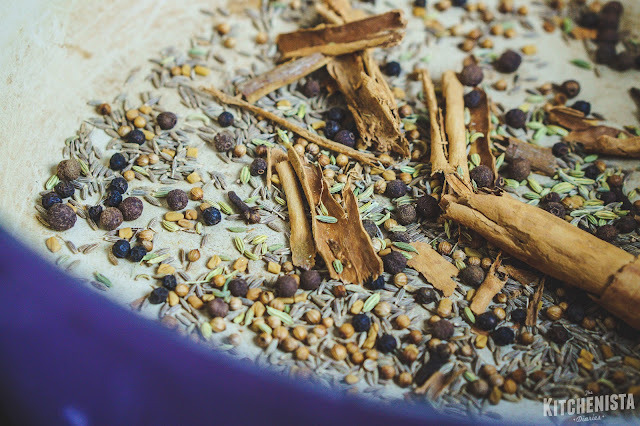 There are so many directions to take depending on what kind of curry powder you choose to use, so have fun making it your own! There's nothing like using garden fresh vegetables in a recipe! 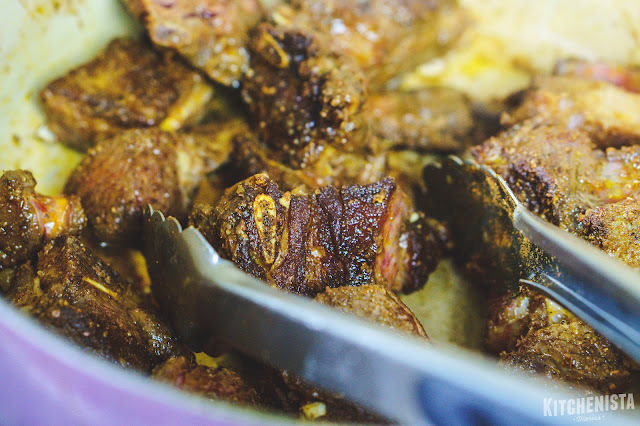 This is going to be my go to recipe for curry goat. It tasted so good and much better 2 days later.